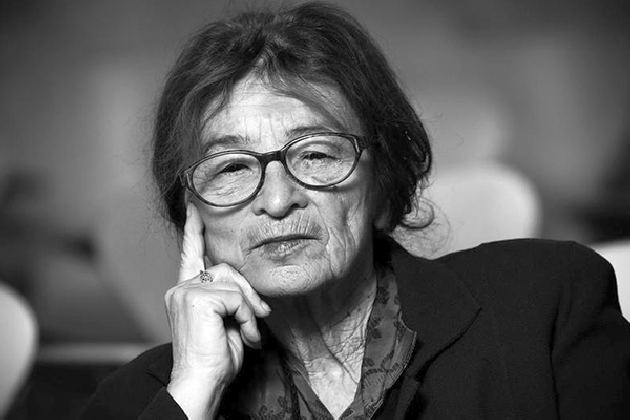 Ágnes Heller is one of the most prominent philosophers of our time. We talked with her about her experiences during the Hungarian Uprising of 1956, about the crisis in Europe and its future, and about coping with the past. She explained to us why it is more important to actively shape the present than to long for a great utopia. Ms Heller, how do you remember the Hungarian Uprising of 1956? How did the revolution come about? First, I must tell you about the years that preceded 1956, for 1956 would not have been possible without the anti-Stalinism that began in 1953 and Khrushchev’s historic speech in February 1956, in which he officially declared Stalin and Stalinism his enemies. The popular uprising in Hungary was the result of developments initiated by intellectuals, writers in the writers’ union, and young Communists. When Imre Nagy succeeded Mátyás Rákosi as Hungary’s prime minister in 1953 following Stalin’s death, they began to reflect on their own past and to ask themselves whether it had been honest, whether it had been right. This confrontation with the past triggered a crisis of legitimacy, and thus 1953 brought about a certain element of self-reflection in intellectual circles, without which 1956 would not have been possible. In April 1955, Mátyás Rákosi, who was still the general secretary of Hungary’s communist party, the MDP, succeeded in deposing Imre Nagy and expelled him from the party a few months later. Imre Nagy was thus a central figure for the insurrectionists in 1956? This circle organised meetings, each of which constituted an escalation. I cannot say it any other way: the situation escalated one meeting after another. The people dared to say more and more. What you said today, you wouldn’t have said yesterday, and what you’d say tomorrow you wouldn’t have said today. During this time, I participated and spoke in philosophical discussions. One time, there were so many people waiting in the street that we decided from one minute to the next to go to Karl Marx University, to the Aula Magna. There was a huge crowd, which was quite a change from the previous meeting. We started talking, and people cheered. This escalation was very important. For a while, it was thought that people wouldn't be interested in these intellectuals. It was thought of as a philosophical movement. Perhaps a few journalists would take part, but the people wouldn’t be interested in the whole thing. But then the revolution broke out from one day to the next. This was also a kind of escalation. I was there from the beginning. As a young professor, I marched in the street together with the students. We shouted various slogans. At first, we shouted: “Imre Nagy to the government!” Then: “Imre Nagy to the head of the government!” Then: “Ruski go home!” We tried a lot of slogans. We would try a slogan, and the others would repeat it. Meanwhile, other people were already thinking up new ones. In the street I was excited like the others: we knew it was about freedom, but we had no idea it was a revolution. In the evening, Imre Nagy came to the parliament and spoke. Everyone had been waiting, and we were very disappointed when he told us to go home. But no one wanted to go home, and this was yet another escalation. The radio became busy as journalists and other programmes were broadcast. The Kossuth Radio broadcaster was renamed “Free Kossuth Radio”. Then the first shots were fired. The secret police opened fire in front of the Parliament Building. Many people died there. This violence enraged people. There were clashes in response to this violence perpetrated by the secret police, but in general people remained peaceful. What demands were formulated in the days of the insurrection? The interesting thing was that people began to organise very quickly – after just three or four days. This was the most beautiful aspect of the revolution – that people began to organise themselves. I was in the university council, for example, where we discussed our wishes for the Hungarian people. Workers’ councils, farmers’ councils, military councils and intellectual councils all put together platforms. When my husband and I went to Australia in the late 1970s, we secretly took these documents with us, so we were able to write a book about 1956. These documents are interesting for the demands they contain. They were almost identical in the various councils: national independence, a multi-party system and free elections. And the Russians were to leave. And of course, freedom of the press and freedom of opinion as well. It was interesting that these documents were in a certain sense very socialist. The workers and workers’ councils wanted their own factories – a sort of collective property, or at least co-determination with respect to property. This is an absurd idea: collective property and a free market. However, I don’t want to question whether this idea is feasible, but rather what was going on in people’s minds. At that time, people believed in a “third way” between socialism and capitalism. They wanted to preserve a kind of collectivism, but at the same time they wanted a free market. They wanted capitalism without property. This is peculiar, but it’s apparently something that lies in people’s hearts. If you read about utopias, for example in Plato or More, private property is always the greatest evil. I was expelled from the university after disciplinary proceedings. I can tell you I didn’t do much during the revolution. I was no heroine. I joined in a bit and wrote a few things, but even that was enough to expel me from the university. I couldn’t publish from that moment on, and I worked in a secondary school for five years. The worst thing was that we all thought we were in a black tunnel and could never return to our lives. Of course, we knew at the time that nothing lasts forever, but that’s how it seems when you’re in the tunnel. People thought the same thing in Czechoslovakia in 1968. In 1968, there was again hope in Hungary. One could see light at the end of the tunnel... What specific hopes were there in Hungary in 1968? There were two hopes in Hungary in 1968. The first was the Prague Spring, of course – we took part in it emotionally. At the same time, the Hungarian economic reform movement began. And in May the New Left was formed in Paris: a non-communist, non-Soviet left movement. We thought that if we could coordinate in Hungary and Czechoslovakia, and maybe if the Poles took part as well, that something could come of it, but this did not materialise. This coordination was unsuccessful, and so the Hungarian army marched into Czechoslovakia too. Very few people – only five of us – protested in Hungary against the invasion of Czechoslovakia. Does that mean that the suppression of the Prague Spring was a turning point for you? Until 1968, we saw hope in “socialism with a human face”, but in 1968 that was over. The regime could not be reformed – this had become clear. All hopes were in vain; they were utopian dreams. This was a very important moment in the history of our group, because until then we had been an intellectual opposition. We had a different opinion on philosophy, on Marx, on everything – but from that moment on we were a political opposition. When you submit a collection of signatures to Agence France-Press to protest the invasion, this is a political act. It’s something quite different from philosophical ideas. In 1968, our illusions about reforming socialism came to an end. Many people lost these illusions even earlier, and many have never lost them. The reason 1968 was so important is because the reform ideas in Czechoslovakia were actually tried out. There was no revolution, no uprising, and yet the Soviets were just as intolerant of the reform movement in Czechoslovakia as they had been of our uprising. That was the end of the story. What does 1956 mean to you from today’s perspective? On the tenth anniversary of 1956, I went with my friends to the mountains, where we celebrated. On the 25th anniversary, I wrote a book about it with my husband. But that was still in resistance; the Soviet Union still existed and the Kádár regime was still in power. 1956 was a symbol for us and for all of Europe that one could stand up to Soviet power. The people who revolted were stopped by violence. The Soviet Union claimed that we loved this government, but the whole world saw that this was not the case. They saw that the people here in Eastern Europe hated this regime, and that they wanted a different regime as well as independence and freedom. This was of great significance at the time. What does it mean today? Almost everything we wanted in 1956 has been realised. Hungary is independent, although the Orbán regime wants to tell us that we’re dependent on Brussels. But that’s not true; it’s just a lie. The truth is that we’ve become independent. We have a multi-party parliamentary system and elections. There’s also suppression within the parliamentary system, but what’s happening now doesn’t give us great cause to be nostalgic about 1956. Not even those who are against today’s regime are nostalgic. I’m nostalgic because I was young then, and because I was there. If I were 18 or 20 years old now, I wouldn’t feel nostalgic. It’s very nice that we Hungarians played an important role in Europe, and that we had a revolution in two centuries – in the 19th century in 1848, and in the 20th century in 1956. But that’s the past. How would you rate the Viktor Orbán government’s treatment of 1956? The revolution is presented by the government as if it had been directed against the left. But this was certainly not the case. In so doing, the government is exploiting the memory of the revolution and benefiting from it – although not very much, because people aren’t taking part inwardly. The democratic opposition wanted to commemorate these events differently, of course, but their efforts were unsuccessful. They made clear, however, why Orbán is illiberal and why they want a liberal democracy. One can start with 1956, but only a little. What is the significance of national holidays in your opinion? 1956 was my greatest personal political experience. It’s part of my life, the lives of my generation. But this isn’t the case for the generation of my grandchildren. National holidays are always problematic. All national holidays are used as a means for achieving political objectives. National holidays have existed only since the end of the 18th century – they’re actually a new thing – but they’re used by every ruling party as well as the opposition to advance their own interests, and they’re treated as myths. This is also the case for 1956; the uprising is always exploited to a greater or lesser extent. Look, the end of the war was a great holiday. I was in the streets on 8 May 1945. Everyone was cheering and kissing each other, whether they belonged to the right or the left. The war was over. But what should we do with this holiday now? We’d like to say that the war was bad. We’d like to say we don’t need a new war. We know that anyway. So what’s the myth? Even though back then it was really a great event that filled us with enthusiasm, it’s no longer the present. This is the difference between national holidays and religious holidays. Christmas isn’t celebrated because Christ was born 2,016 years ago; he’s born every year – every year at Christmas. And every year at Easter he’s crucified. And the Jews are freed from the Egyptian captivity every year. This is always in the here and now. National holidays, however, are the past. Historiography belongs to the past; we can describe how we felt. But it’s not something that’s happening now. The EU is currently experiencing a deep crisis of confidence. In many member states, right-wing populists are stoking fears and calling for the re-nationalisation of Europe. What reasons do you see for this deep mistrust, for the increase in xenophobia and for the scepticism of the ideals of an open and pluralistic society? All across Europe, we have an unconquered past. Europe had a very ugly 20th century. We have to talk about this 20th century. Before the 1950s and 1960s, there weren’t any liberal democracies anywhere, not even in Western Europe. When a crisis ensued, economic or otherwise, the Europeans always called for a leader – a Duce, a Stalin. Almost no European country has had a secure, well-founded liberal democracy for a longer period of time in the 20th century, so we only have a very brief history of liberal democracy. People aren’t used to it yet. In addition, there have been no crises in Western Europe for a long time. To the contrary, people were doing better and better every year. As long as this continued, they loved liberal democracy. How can, how should Europe overcome the present crisis? Europe isn’t used to dealing with crises well. When there’s a crisis, Europeans immediately cry out for a strong hand. The question is whether Europeans have changed, and understand what democracy means for them. The future of Europe depends on whether Europeans will learn to solve their problems themselves. If they do, then they can overcome the present crisis too. If they don’t, the populist parties will have a great following, because they’re based on Europe’s bad traditions, on our past with populist parties, with il Duce, with Salazar. I don’t want to talk about Hitler at all. The populist movements harken back to a European tradition, a European habit. We’re already used to Marine Le Pen. How can one break out of these habitual patterns? With another habit. As Spinoza said, a passion can only be overcome by another, stronger passion. One can only overcome a habit with another, stronger habit. The question, however, is whether the liberal democratic habit is strong enough. The future of Europe depends on it. What do you think? Is the liberal democratic habit strong enough? Look, I’m not a prophet, but I’d like to give Europe some advice: Regret! Or rather: Learn! Learn to be tolerant of frustration – then you’ll become the master of this crisis. I think we have difficulty overcoming our past. We often talk about European values. But when we talk about these values, we should also talk about European shamefulness, as this is part of our tradition as well. It’s said that we’re in favour of European values, and the populists are against them. But shamefulness is part of the European tradition as well. We must take this seriously. What does Europe need today and what doesn’t it need? Today there are no utopias. Rather, there are dystopias; we talk about a bad present and future. I believe, however, that these dystopias are very useful. They teach us that we should not chase after ghosts, but, as Voltaire said, we should cultivate our own garden. When we work on our present, we can improve our world to a certain extent, even without utopias. We don’t need any big ideas, no Cockaigne; it would be very boring in Cockaigne. If one has learnt that, then one also understands what liberal democracy means. In this respect, I still have greater confidence in the United States than in Europe – Trump notwithstanding. The Americans have had no messianism, no utopia in their past. They demonstrated their tolerance for frustration during the Great Depression, which was much more difficult there than in Europe. They had the New Deal and didn’t vote for a dictator. Ms Heller, thank you very much for the interview. The interview was conducted by Eva van de Rakt and Silja Schultheis in Budapest in late October 2016. It is part of our dossier entitled The 1956 Hungarian Uprising – Present-day Perspectives.